Stop Hepatitis. Vaccination prevents infection. • The word Hepatitis means inflammation of the liver. There are several possible causes but the most common is infection with Hepatitis viruses. 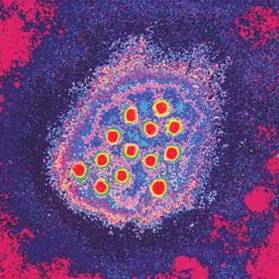 • Hepatitis A Virus (HAV) is easily transmitted through eating or drinking contaminated food or water. • Neglecting hand washing after visiting the toilets or changing a baby’s nappy or close contact with an infected person can all result in spreading infection from one person to another. • Children and adolescents, or health care workers, food handlers, airline crew, military personnel and police are at greater risk of being infected with Hepatitis A. • People who live in countries where Hepatitis A is epidemic. What happens if someone gets infected with Hepatitis A? • Hepatitis A causes jaundice. Jaundice is a yellowish coloration of the skin and whites of the eyes. • Hepatitis A also makes people feel extremely weak and ill, can cause pain, diarrhea and vomiting. 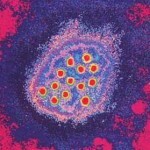 Sufferers of this virus won’t be able to go to school or work for several weeks. • As age increases, the disease becomes more severe and has serious consequences. •	Vaccination is the most effective way to reduce the incidence of Hepatitis A. Vaccination increases the body’s immunity against the disease. Therefore the vaccine protects children as young as 12 months and older from contracting Hepatitis A. Ask your health care professional about Hepatitis A vaccines.